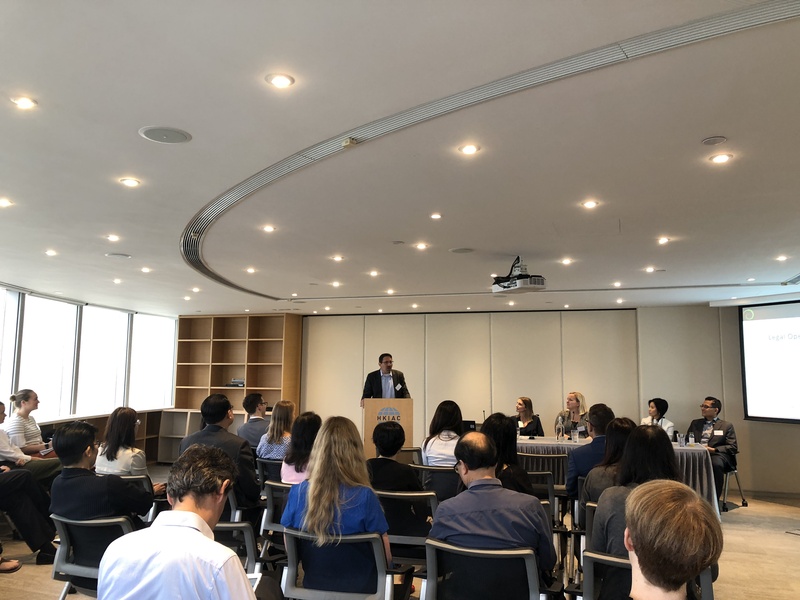 Last week, KorumLegal hosted an event surrounding the increasingly hot topic of “Legal Operations – what, why and how” at the Hong Kong International Arbitration Centre (HKIAC). It certainly proved to be a hot topic for the Association of Corporate Counsel (ACC) membership, with a full house turning up to listen to the presentation and panel discussion. The panel discussed that the need for legal operations has presented itself at a time when in-house legal teams are faced with many new challenges, including rationalisation of their services, increased alignment across all functions of the business and integrating tech support (in our increasingly tech-supported world). All of these challenges are those that have existed for a long time but have somehow avoided scrutiny… until now. Now, beyond being a good lawyer, in-house teams must also know their business. This means that they need to learn how to create an efficient and value adding services to the whole business: from streamlining cumbersome processes and cutting costs. But for the legal space which is and has always been highly legacy-based, this is no easy feat. All panellists recognised the challenges of moving to a highly process- and analytics-based functioning business unit. The move could be broken into three parts – people, process and technology. There was consensus from the panel that the first place to start was “people”. Change management was key. Ensuring that the right people are in place to effect the changes in process and technology was the first place to start. Without people on board, implementing new processes and technology fails. This was interesting, as many would often look to the technology first. All panellists were at different stages in their tech implementation. Bernard noted that SAP, given its tech capabilities, had been able to build a lot of custom products (the dream!). Fiona talked about the internal chat bot HSBC had successfully implemented to assist with work flows and sign off to its wider business. Telstra started its technology transformation with initiation of an internal Legal Innovation Forum, from which they have implemented automated NDA tool and a legal triage system. Lauren noted that the business had now moved from a reactive legal operations strategy to a more focused and forward-looking strategy. Karin noted that post the Marriott’s merger with Starwood, it is still at the beginning of its legal operations journey, and that its current focus was mostly on change management. Generally, the advice to the room was to utilise your resources and networks – you don’t have to figure it all out yourself. The ACC, CLOC and other organisations all have frameworks to assist, and of course there are companies such as KorumLegal to lend support throughout your entire process! If you are keen to know more about how you can streamline your legal processes, please contact Bill Novomisle.